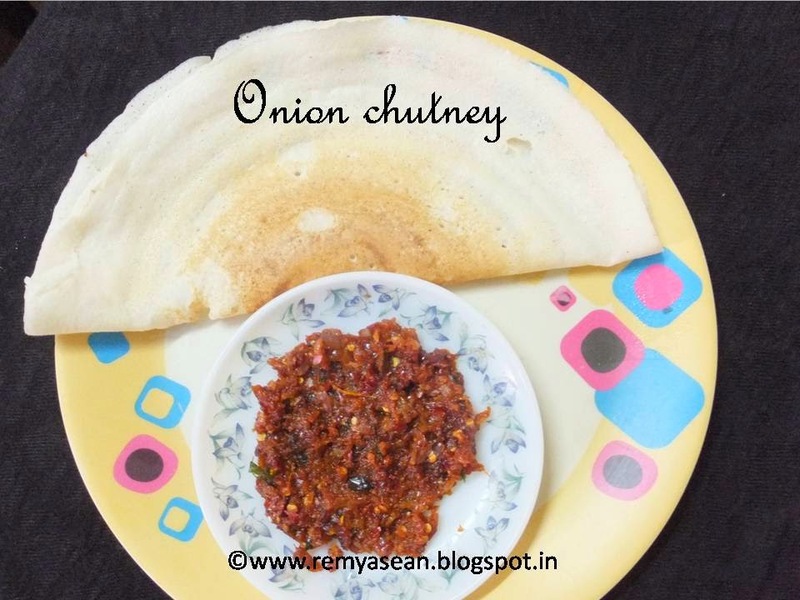 An easy chutney recipe.If you are feeling bore with the coconut and tomato chutney try this hot chutney. Heat the pan with little oil and saute both onion and dry red chilly for few minutes. Grind it with tamarind extract and salt. Heat another pan with oil. Add mustard seeds when it splutters add curry leaves and ground mixture. It is a good combinaton for idly dosa or even with rice. if you want you can grind it in to smooth paste also. This chutney sounds delicious dear..yummy !! 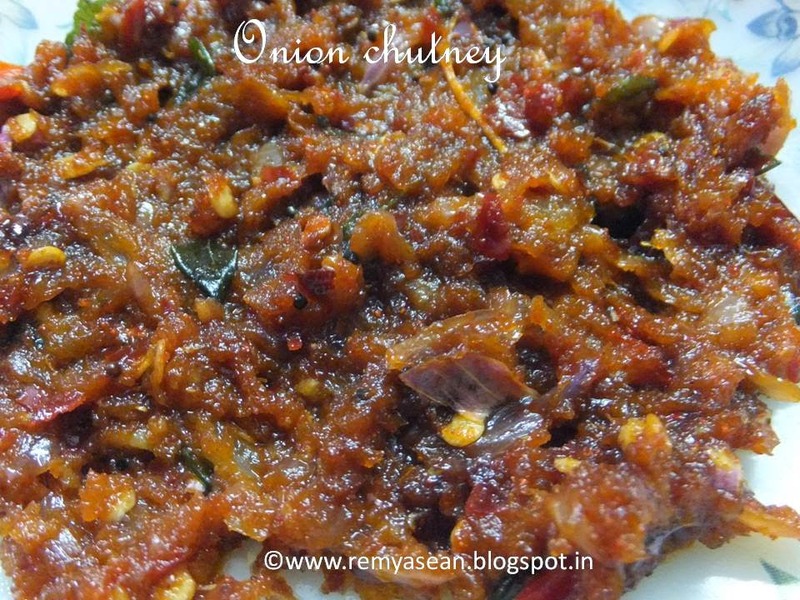 Like the sweet taste of the onions in this chutney. Love it! Looks too yummy and tasty chutney! !